A fire broke out at a lubricant-filling depot of state-run Indian Oil Corporation on the outskirts of Mumbai in the wee hours of Tuesday but was contained after six hours. "No one was injured in the fire," IOC Chairman B M Bansal told mediapersons in New Delhi. The depot in Taloja outside Mumbai stored lube oil for packaging into containers but had no stocks of crude oil. Bansal said the fire was reported at around 0130 hours and was completely put out by 0730 hours. "The 1,800 kilolitre per month plant blends and fills lubricants in small cans and drums, besides filling specialty lubes. 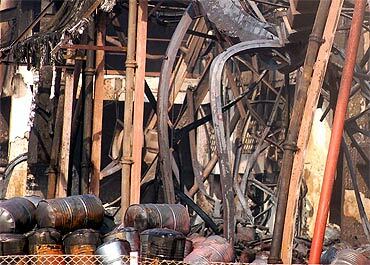 It operates on single shift -- 8 am to 5 pm -- and the plant was shut when the fire broke out," Bansal said adding the fire gutted a shed storing packed lubricants. "All the other facilities of the plant including storage tank farms, manufacturing plant, laboratory and fire-fighting facilities are intact," he said. 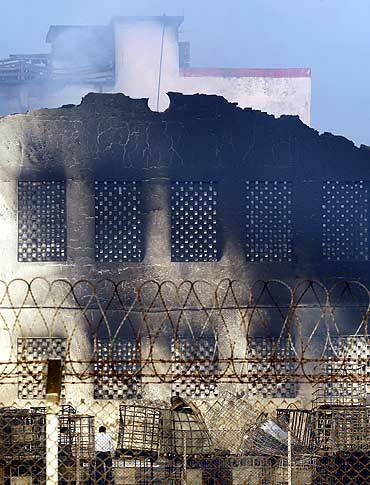 A fire brigade official in Mumbai said the blaze began from containers containing lubricant oil. "Thousands of drums with 200 litres capacity each, stored in the godown caught fire and destroyed around 40,000 litres of lubricant oil," the official said. Bansal said the fire was noticed by security personnel deployed at the plant around 0130 hours and "preliminary reports indicate the cause of the fire could be due to an electrical short circuit." "The exact cause of the fire and the extent of product loss will be assessed as soon as the cooling operations are completed," he said. 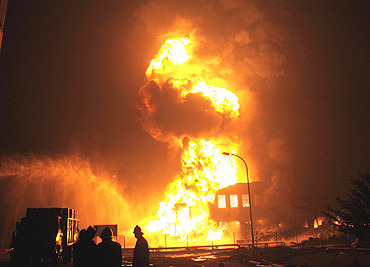 The Taloja plant fire is the third such incident at IOC installations since October 2009. 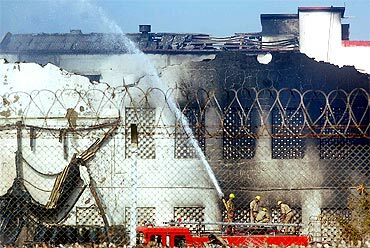 The company's storage terminal in Jaipur in Rajasthan was destroyed in a fire on October 29, 2009, killing ten personnel. 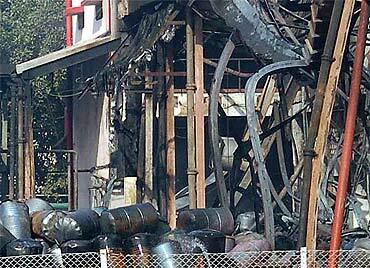 A fire broke out at a catalyst area of its naphtha cracker unit at Panipat on June 12.